Fresh from New York, South Coast Repertory presents an incisive comedy that takes an unflinching look at how things get done in Washington. When Sydney Millsap wins a seat in Congress, she’s determined to drain the swamp. Then she meets Kate, a whip-smart lobbyist who gets her clients what they want​—whatever they want. When Kate helps Sydney try to unseat a powerful senator steeped in cronyism, the result is a “sleek, fast-paced, absorbing and very funny” (Vogue) exploration of money’s corrosive effect on politics. South Coast Repertory and TodayTix are thrilled to bring you $20 Rush tickets to "Kings." Every performance day, on a first-come, first-served basis, a limited number of $20 Rush tickets will be made available. To unlock this feature, South Coast Repertory simply requests that you spread the word on social media through our app. Company may offer programs whereby the Company would make available certain features of the Services when you share information about the Services through an SNS or click on the “Unlock without sharing” button in the Application. 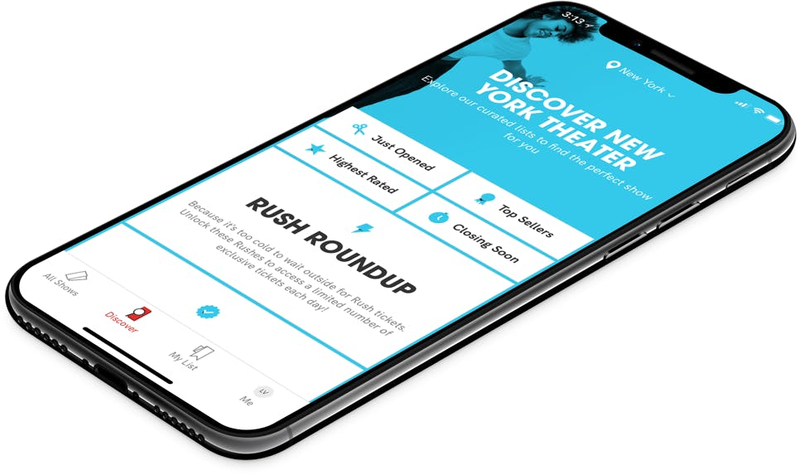 When you are considering purchasing a ticket for a specific show or after you purchase a ticket, if you select the “Share” button in the Application, Company will make available to you a personalized link to a Digital Property with text stating, for example, “Check out Kings on TodayTix! I’m thinking of going…” or something similar, which you may choose to share with your friends via SNS. Once you have shared the personalized link through an SNS using the Application or selected the “Unlock without sharing” button in the Application, Company will make available to you the RUSH feature, which will provide you with otherwise unavailable offers for tickets to live events occurring in the next week. The opportunity to take advantage of these offers is only available to users who share a personalized link to an SNS through the Application or select the “Unlock without sharing” button in the Application.